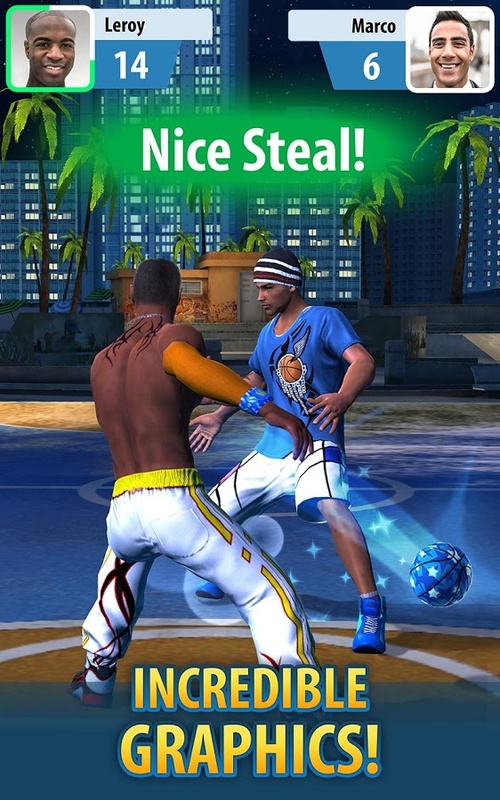 Basketball Stars – take part in dynamic basketball 1v1 matches. 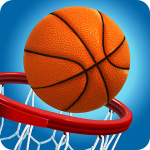 Do cunning feints and tricks to get the ball into the basket. 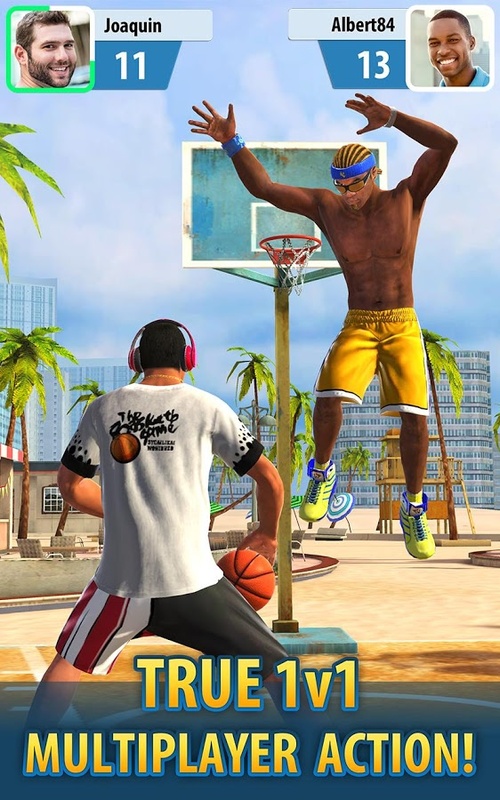 Become the king of street basketball in this addictive game for Android. 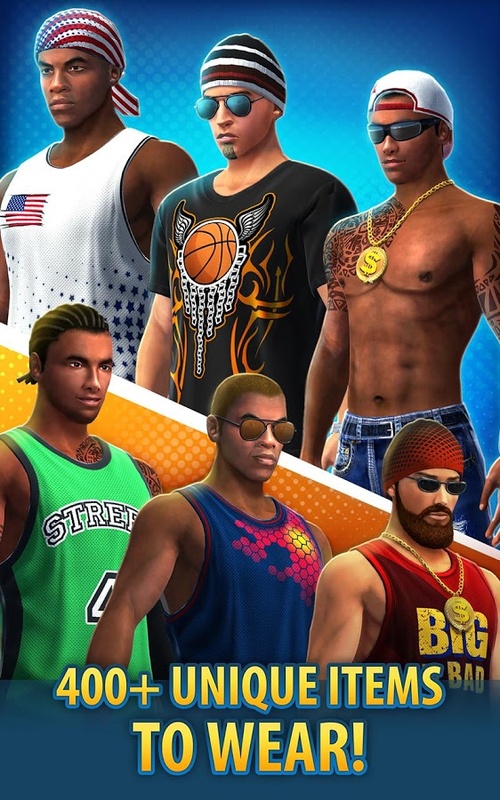 Create your own basketball player choosing appearance and clothing. 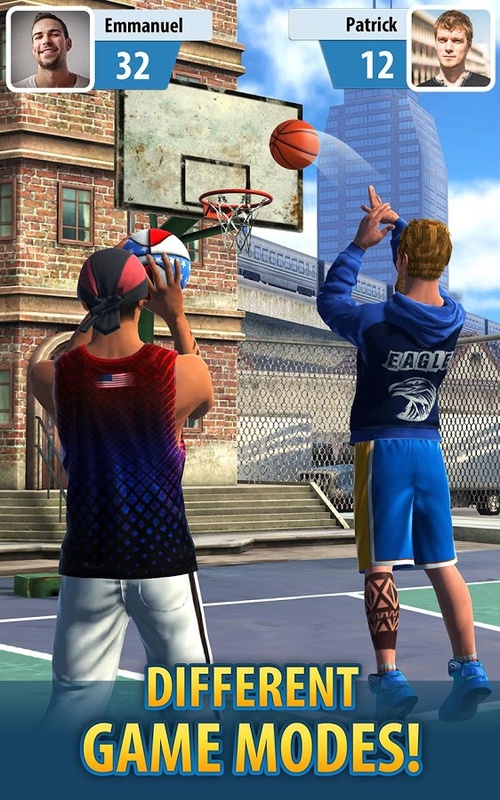 Enter the basketball court and throw the ball into the basket from different angles. Go around the opponent, don’t let them protect the ring and score goals. Take opponent’s ball, get prizes and awards. Buy sports clothes and accessories for your basketball player. – 400+ customisation items = thousands of unique looks!